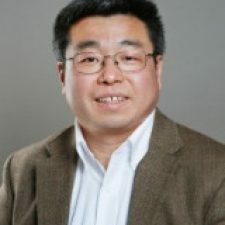 Dong Xu is a James C. Dowell Professor and chair of Computer Science Department, with appointments in the Christopher S. Bond Life Sciences Center and the MU Informatics Institute at the University of Missouri. After earning his doctorate in 1995, Xu completed two years of postdoctoral work at the U.S. National Cancer Institute and then was a staff scientist at Oak Ridge National Laboratory until joining the university in 2003. His research includes protein structure prediction, high-throughput biological data analyses and in silico studies of plants, microbes, and cancers.